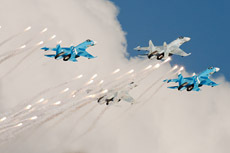 The task of the aerial defense in Russia is performed by 3 types of aircraft. 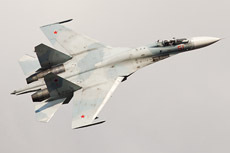 The MiG-29 Fulcrum is employed for the aerial defense on short ranges and the Su-27 Flanker is in service for the aerial defense at medium ranges. 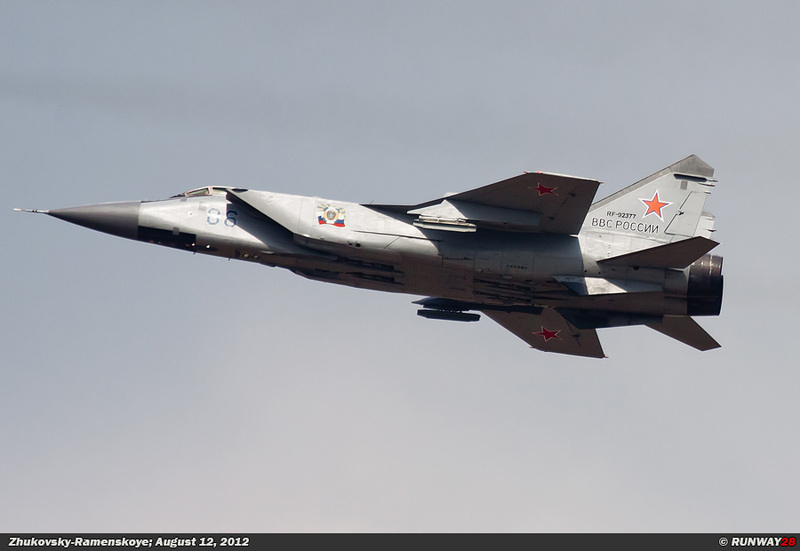 The MiG-31 Foxhound is operating as the long-range interceptor aircraft of the Russian VVS. 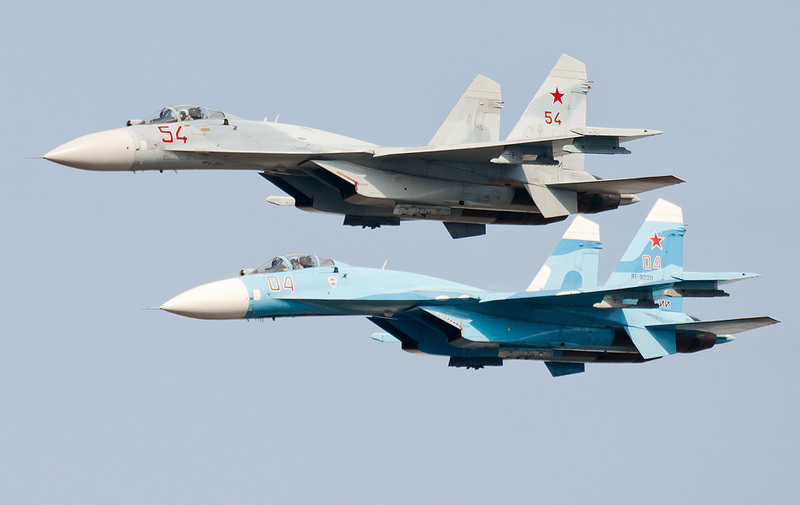 The Russian fighter planes play an important role when it comes to the defense of the Russian airspace. 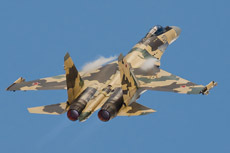 The fighters are in Russian called Istrebitel (истребитель). Istre- bitel means in Russian fighter or jetfighter. Important aspects for the fighter aircraft are speed, maneuverability and climbing speed. The group of fighters is divided into 3 types, each with their own distinctive characteristics. The first group is the group of interception fighters. 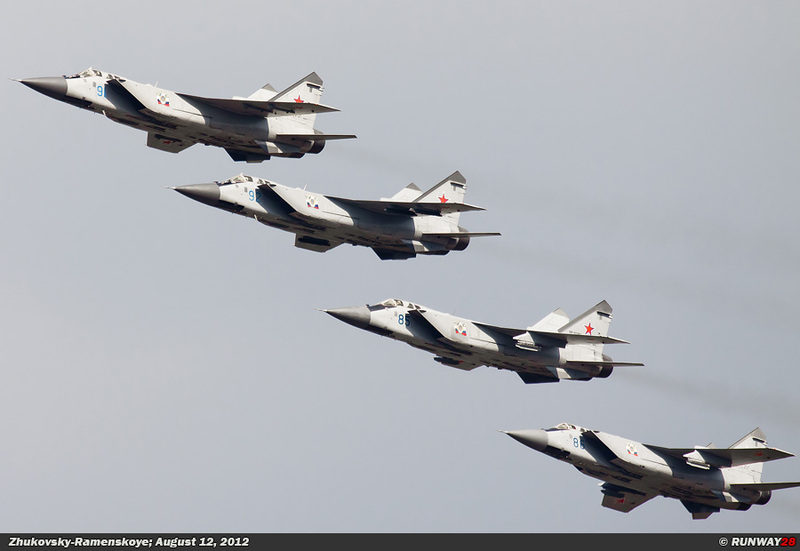 This group is used to intercept enemy bombers which come to Russia at big altitudes. 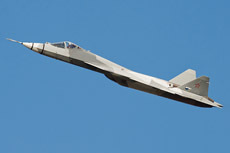 This task is performed within the VVS by the MiG-31 Foxhound. The second group is the group of medium-range air dominancy fighters. The medium range fighters will intercept and destroy the enemy attack planes and bombers which came through the first defense level. This group of aircraft will also guide the Russian attack planes and bombers deep into enemy territory if needed. 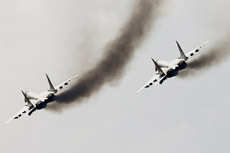 This task is currently performed by the Su-27 Flanker. 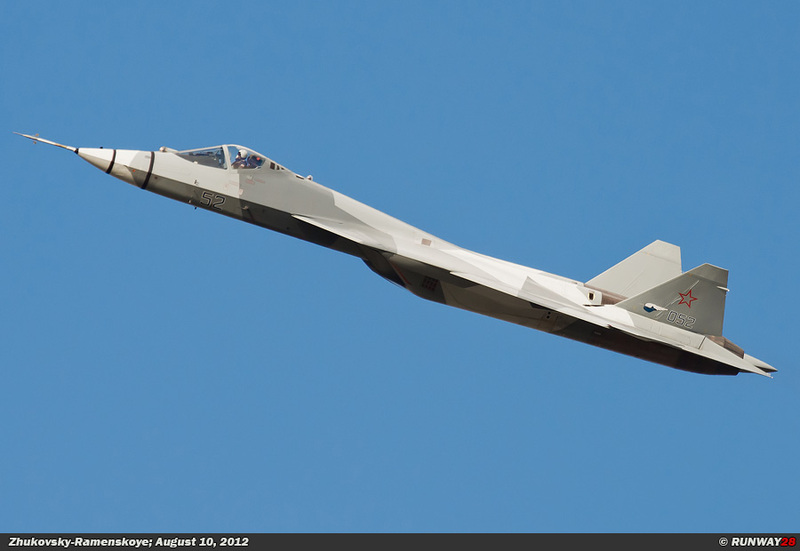 The third group of fighter planes is made for the defense at short distance. 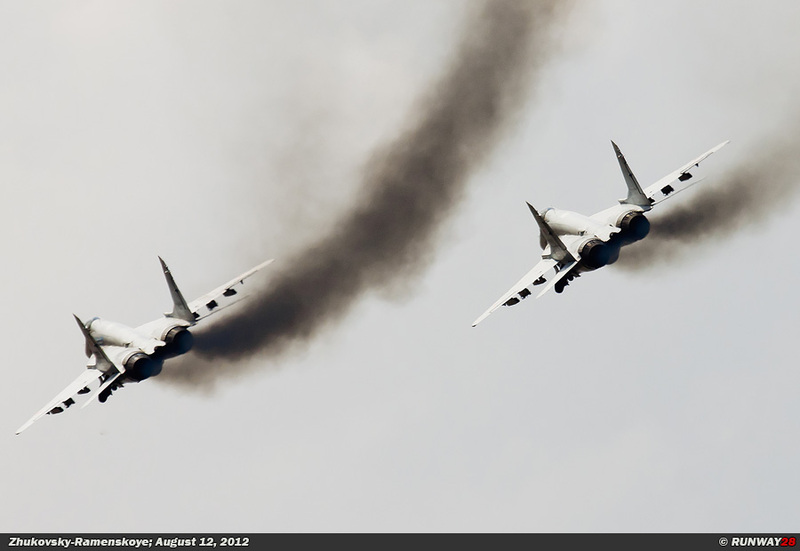 These aircraft have to protect Russian airports, cities and other strategic targets. This group is basically the last line of aerial defense. 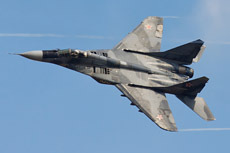 The MiG-29 Fulcrum is deployed to this task within the VVS. The aerial defense task is effectively organized by dividing the fighters in these 3 layers of defense. board GSh-30-1 30mm cannon. 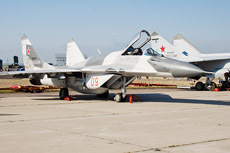 The MiG-29 can also carry the Vympel R-27 (AA-10 "Alamo") medium-range air-to-air missile. Besides this missile, also dogfight missiles like the R-73 (AA-11 'Archer') can be carried by the aircraft. 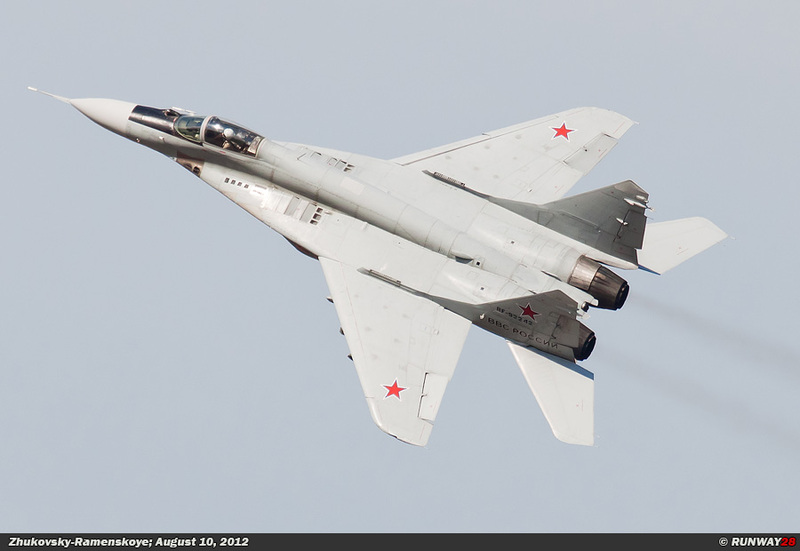 Recent reports shows there are still 226 MiG-29s in operational service within the Russian Air Force. 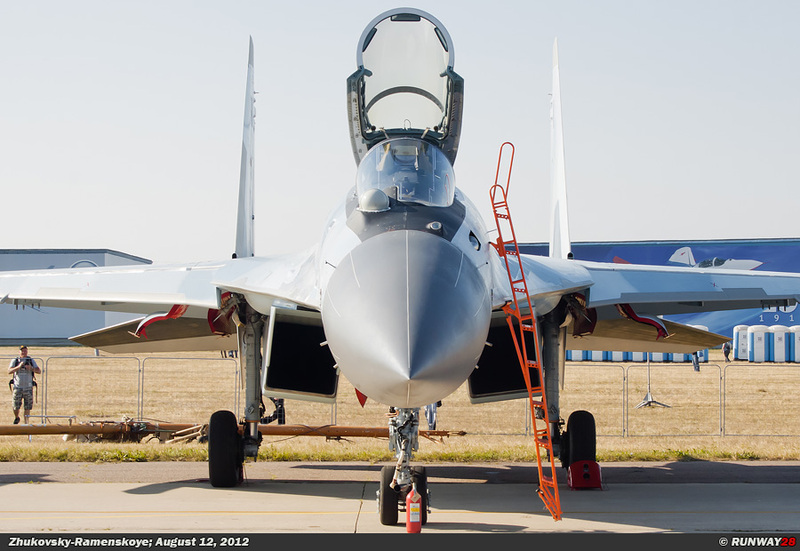 The MiG-29s will all undergo an update from the MiG-29A and MiG-29UB standard to the MiG-29SMT and MiG-29UBT standard. This upgrade is similar to the MLU update which the western F-16 fleet has undergone. 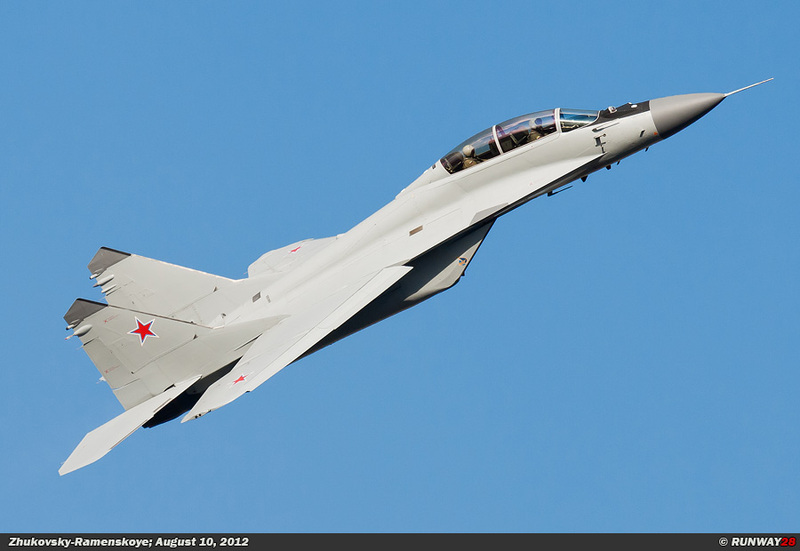 A new generation of the MiG-29 is developed as well in the meanwhile under the name MiG-35. 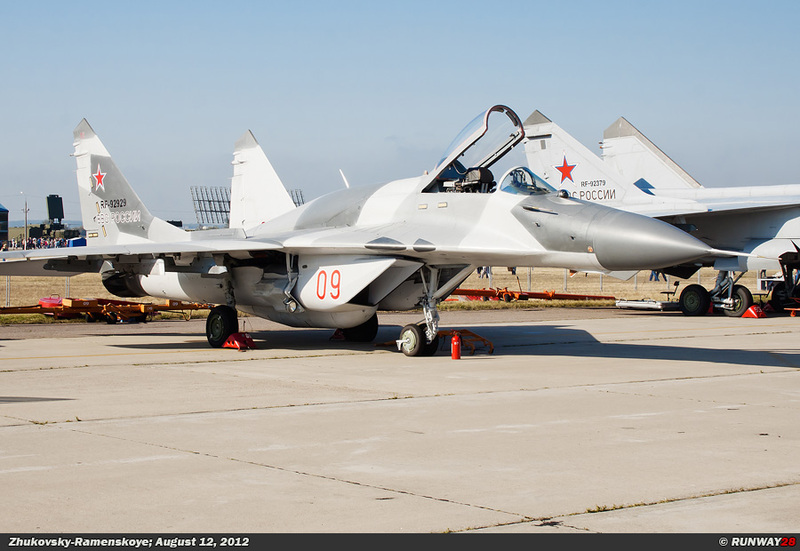 The MiG-29 will stay in operational service within the Russian VVS for the next decades. The Mikoyan Gurevic MiG-31 (Микоян и Гуревич МиГ-31) is a supersonic interceptor aircraft. 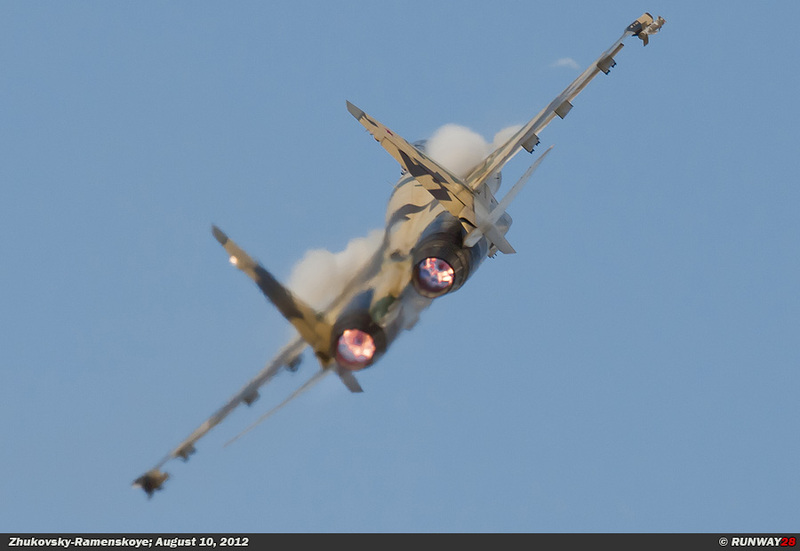 The NATO code name for this aircraft is Foxhound. 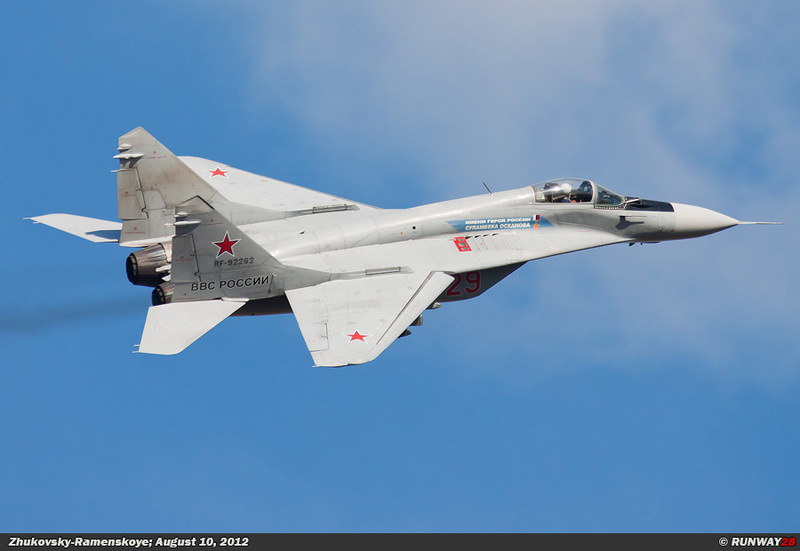 The MiG-31 is the successor of the MiG-25 Foxbat. The design of the MiG-31 is based on the MiG-25 design. Both aircraft look quite similar, but they are both totally different planes. 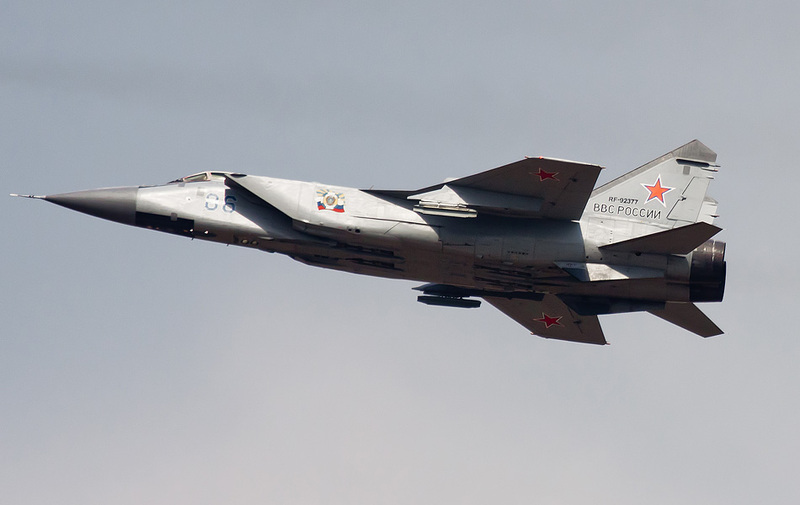 The main task of the MiG-31 Foxhound is to intercept the U.S. nuclear bombers at high altitude in case they invade Russia. The aircraft is able to climb very quickly with a very high speed. 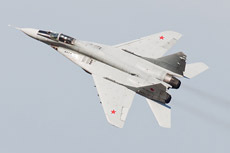 The MiG-31 is capable to operate at a speed of Mach 3.2. The aircraft can climb to an altitude of 37km in just 4 minutes. The properties for dogfights are very limited for this type of aircraft, because it is a huge plane. 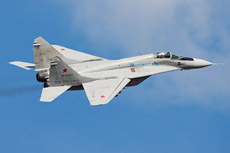 The first MiG-31 entered service within the Soviet air defense force in 1982. The MiG-31 was for the first time seen by the west in 1985, when a Norwegian pilot observed the aircraft above the Barents Sea. 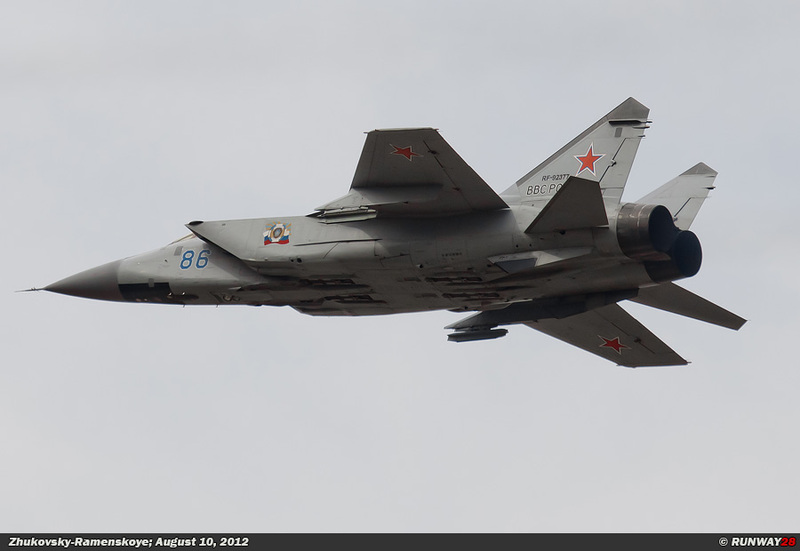 The MiG-31 can be equipped with the R-33 (AA-9 Amos) air-to-air missile. The missiles are mounted under the fuselage. 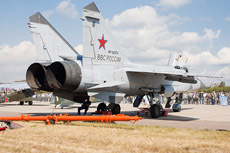 In contrast to the MiG-25, the MiG-31 is equipped with a GSH-board 6-23 23mm gun. Only 20% of the MiG-31 fleet was still usable after the collapse of the Soviet Union in 1991. The Russian VVS is recovering itself after a period of poverty. 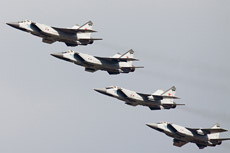 The estimated MiG-31 fleet counts 198 operational MiG-31 within the VVS. A part of the MiG-31 fleet is updated to the MiG-31BM standard. The MiG-31BM contains a glass cockpit compared to the previous version. 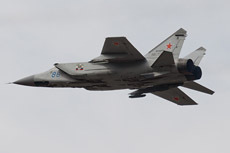 The MiG-31 is suitable to stay in service within the VVS for the coming years. 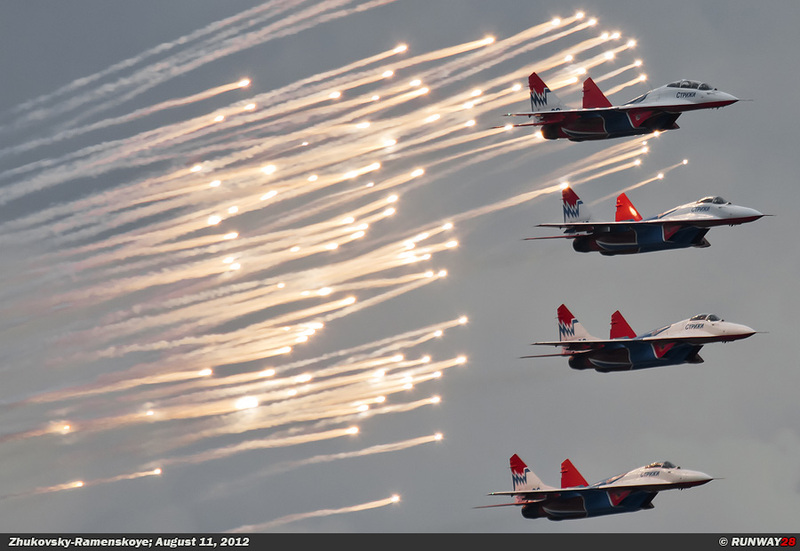 The Suchoi Su-27 (Сухой Су-27) is a fighter which has been developed for dogfights. The aircraft is by the NATO designated as the Flanker. The Flanker is the direct response of the Russians to the American McDonnell Douglas F-15 Eagle. The aircraft has a bigger range compared to the MiG-29 and is therefore suitable for fighting on a bigger distance from its home base. The strengths of the Su-27 are the large operational range, it’s heavily armed and the plane has a high degree of maneuverability. 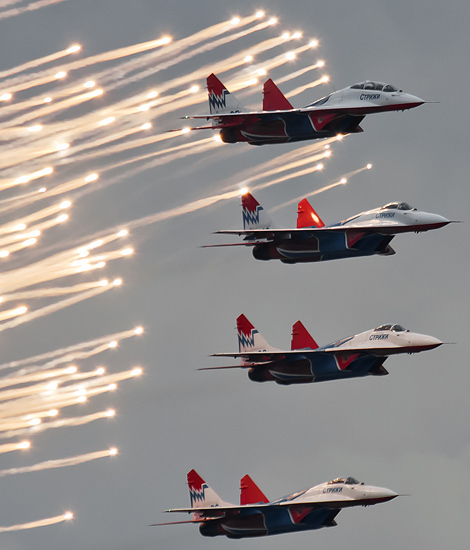 These properties make the Su-27 a superior aircraft in the air. The most famous maneuver of the Flanker is the cobra maneuver. 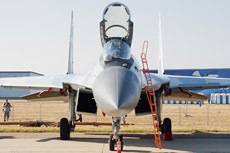 The construction of the Su-27 has also similarities with the F-14 Tomcat. The inlets are a bit separated which creates space between the engines. The Sy-27 made its first test flight on May 20, 1977. 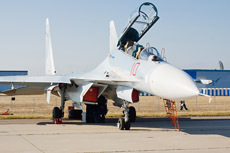 The Flanker entered in operational service within the VVS in 1984. 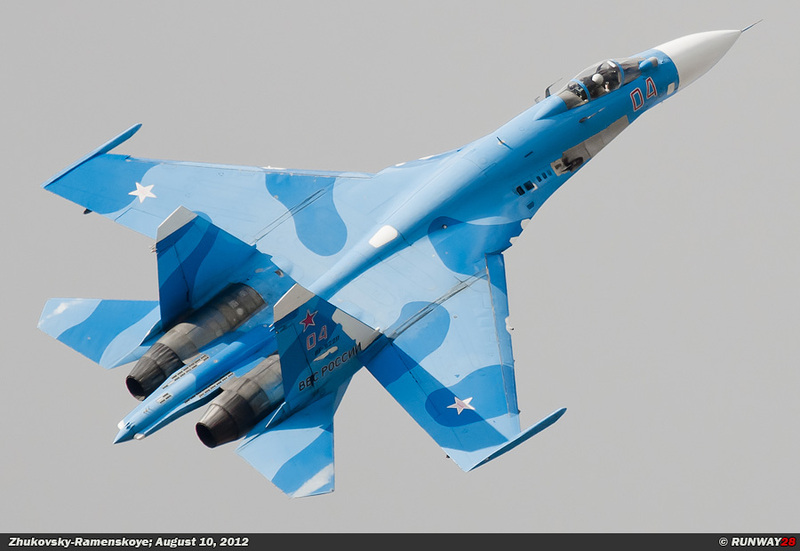 The Su-27 was the first aircraft in the Soviet Union which flew with the help of fly-by-wire systems. 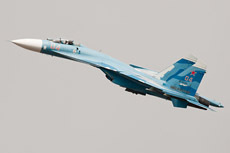 The Su-27 is equipped with a GSh-1-30 30mm onboard canon. 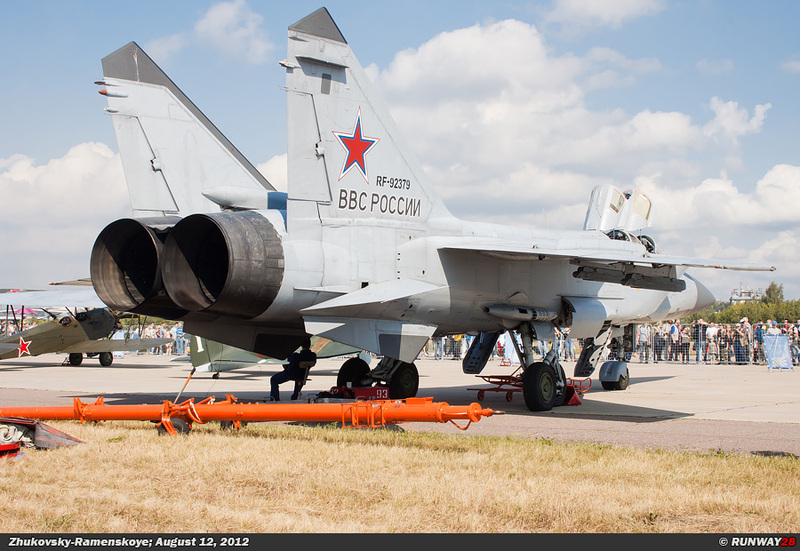 Additionally, all types of air to air missiles can be carried which are also applicable for the MiG-29. 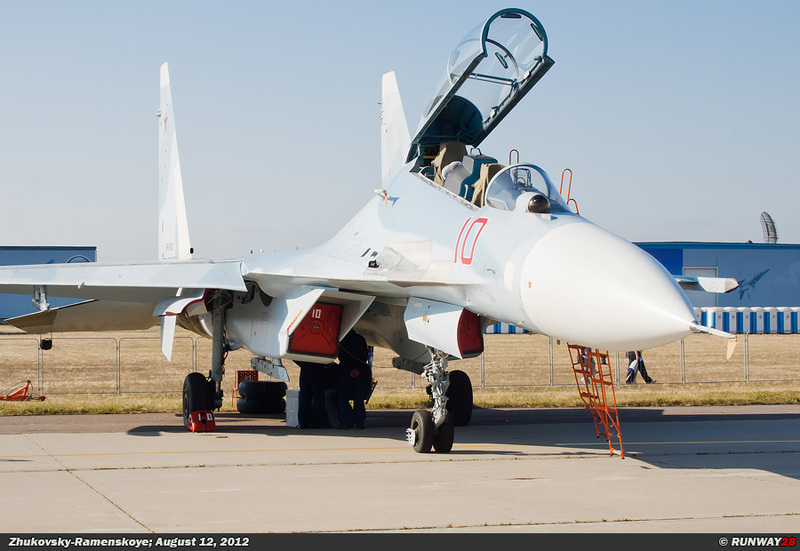 The Su-27 has also a helmet mounted display system to increase the effectiveness of the air to air missiles. 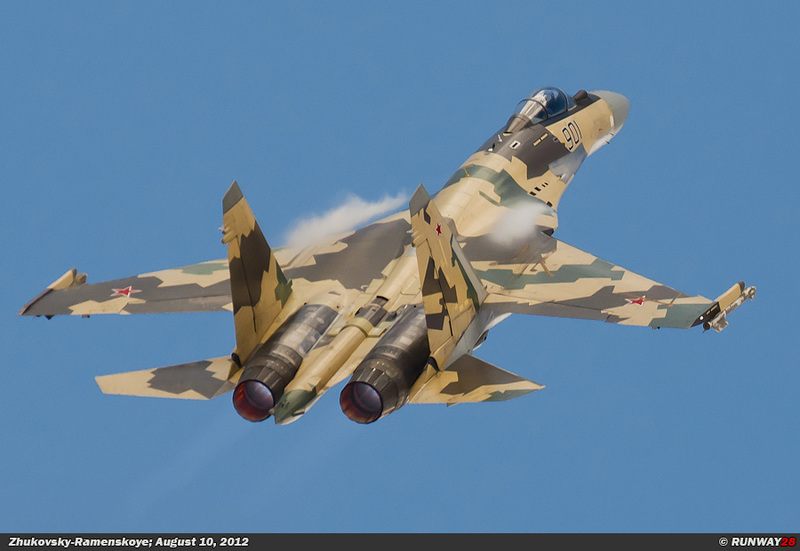 The Russian VVS has over 281 Flankers in service. There is also an order been placed to expand this fleet with 48 Su-27M and Su-35 aircraft. 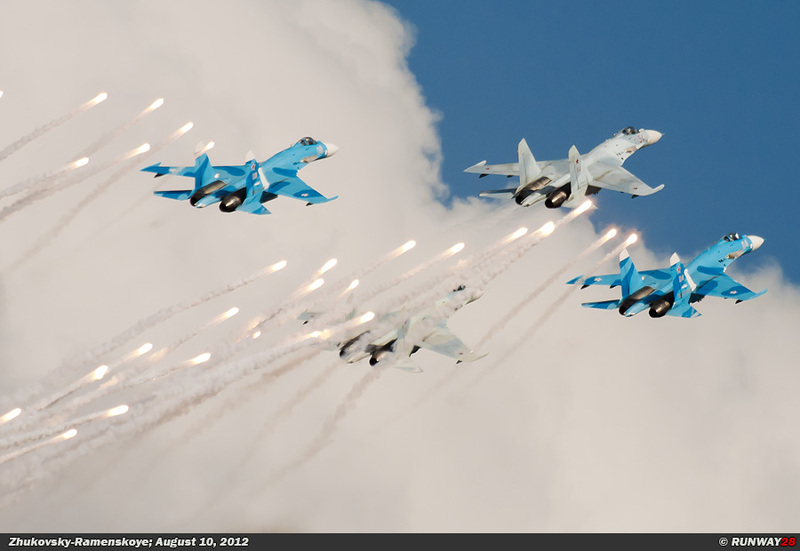 A modernization program was started in 2004 to upgrade the Su-27SM fleet to the Su-27SM3 standard. This program was completed in December 2011. The aircraft will stay in service within the VVS for the next decades. Also the new variants of the Su-27 will play an important role in the aerial defense task.